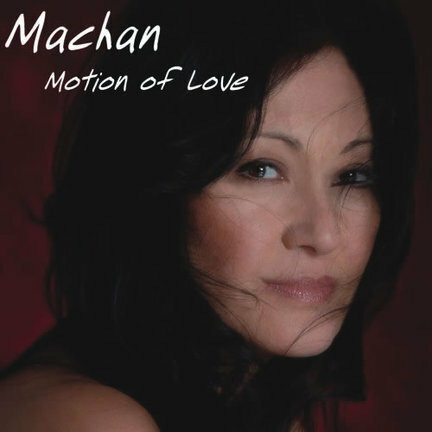 Thus far, singer/songwriter/guitarist Machan has built a career in back of the likes of Aretha Franklin, Sting, George Benson and Pat Benatar. She has a sweet, pure voice, and is a capable, if not particularly inspired, guitarist. However, as Machan steps out in front on her debut disc, you’d be hard-pressed to gain much appreciation of her singing or her playing. The trouble with Motion of Love is that there’s simply too much, um, motion-too much movement; too distractingly much happening in the background. It’s as if, when shaping the arrangements (all of which were crafted solely by Machan or in collaboration with either keyboardist Steve Gaboury or percussionist and sometime backup vocalist Rick Depofi), she permanently kept her finger on the “select all” button. Sadly, not only does Machan get buried beneath all the excess, but so do such stellar guests as John Scofield, John Medeski and Randy Brecker. Nor do the songs themselves, all Machan originals, escape the deluge. All but one seems hampered by a glut of corny allusions, sophomoric sentiments and unsophisticated rhymes. Not until the tenth and final track, the misty “Vulnerable,” do the cacophonous clouds break, the poetic complexities abate, and a lovely singer with a tender, heartfelt message emerge.